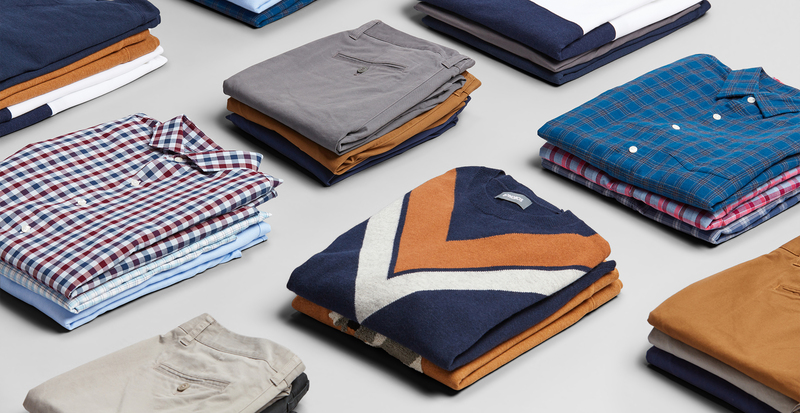 If there’s a brand that our stylists turn to time and time again for a great fit, it’s Bonobos. The label was founded to give guys a better-fitting pant. Their signature curved waistband conforms to the natural shape of your waist, a trimmer thigh prevents saggy situations, and the perfect medium rise provides all-day comfort. They’ve applied their fit philosophy to shirts, suits, and more, so you’re able to build an outfit that fits the way you want it to. Beginning with classic five-pocket chinos (because of course), this outfit is equal parts sophisticated and cool. 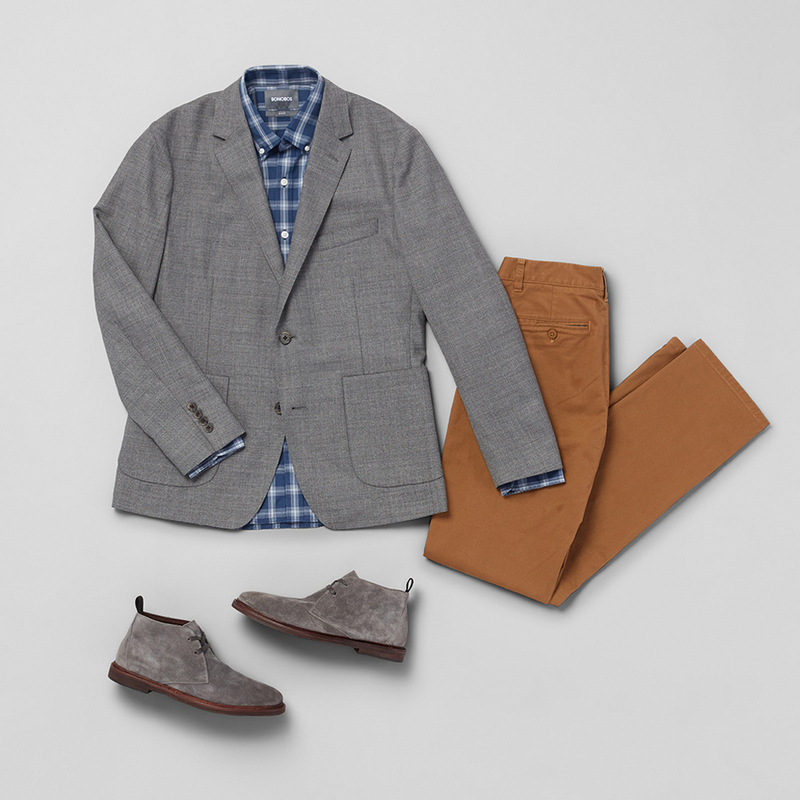 A rust-colored pant mixed with a grey sport coat is very “casual Friday at work,” just ditch the coat and roll up your sleeves (up to the elbow, not above) once 5 o'clock hits. And when you want to give your brown leather shoes a break, grey suede is also an excellent neutral option. Vintage-inspired sweaters can be cool. We repeat, vintage-inspired sweaters are cool, especially if they’re layered under a bomber jacket. 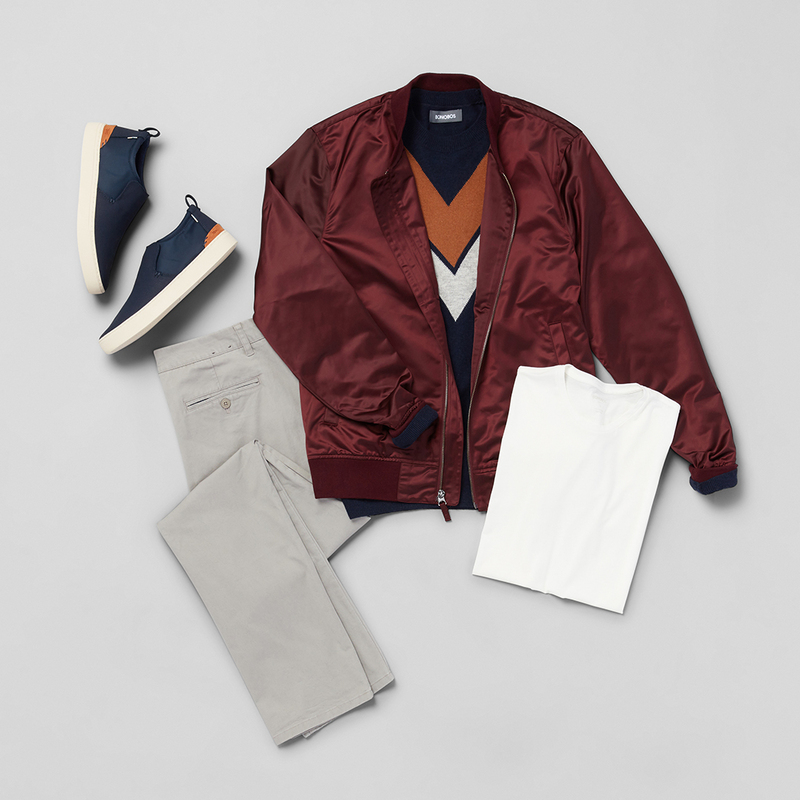 As a general rule, if you choose a statement jacket, stick with a toned-down, neutral pant. If your jacket is more inconspicuous, feel free to play around with bolder pants. And no casual-cool outfit is complete without a pair of sneakers. Fresh, white sneakers never go out of style, but with this outfit, you can see how the sweater and shoes complement each other in the details. There’s no rule saying you have to, just something to think about.